“The Flintstones,” for those who aren’t familiar, was a popular US prime-time cartoon about a “modern stone-age family.” Which makes it a bit ironic that the first new “scenes” the show has had in over 50 years were created by an artificial intelligence. Researchers working at The Allen Institute for Artificial Intelligence, The University of Illinois Urbana-Champaign, and The University of Washington developed the AI, called Composition, Retrieval and Fusion Network (Craft). It was trained on a database of more than 25,000 Flintstones videos which had been painstakingly annotated. Craft uses the annotations from videos to determine how the original images correspond to the words used to describe them. Eventually it builds up a set of parameters that enables it to “understand” what makes individual characters and objects from the cartoon match their plain-language counterparts. 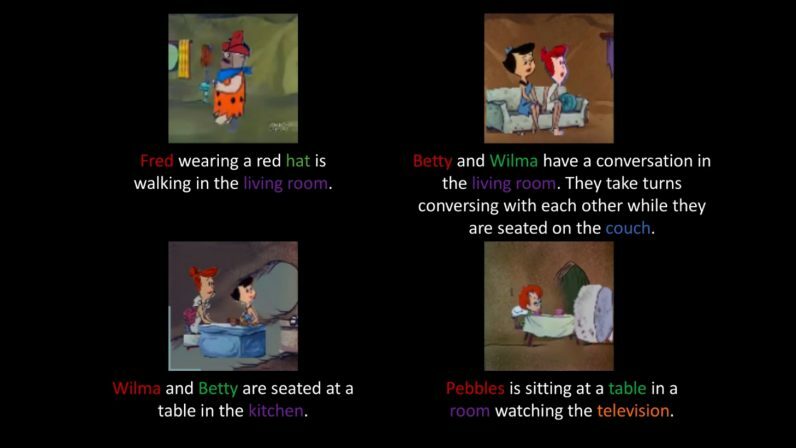 Once it understands this relation, it’s able to generate video clips based on novel text inputs that look a lot like the cartoon it was trained on. It’s apparent from the above video that nobody is going to be fooled into thinking they’re watching a new episode of an old show by the short glitchy clips generated by the AI. But the results are stunning when taken in context. The training set only contains clips that are 75 frames in length, or about three seconds long. While the AI doesn’t always output something recognizable, it often imitates the orginal cartoon’s style with startling accuracy. Today’s glitchy little clip, generated from simple text phrases, could lead to tomorrow’s entertainment being created from scratch by AI instead of studios full of people. That could cost some jobs, but if it’ll get us the next season of “Rick and Morty” faster, or bring back “Turbo-Teen,” that’s a risk I’m willing to take.